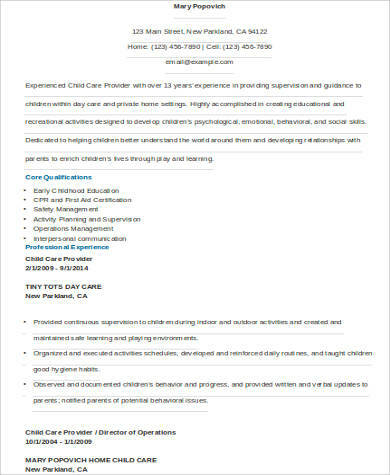 Applying as a child caregiver can be challenging. It is important that you are able to make the parents of the child you intend on looking after feel as if they can trust and depend on you. Apart from certification, getting hired can simply mean working on your credentials and making sure that the information you provide is verified and strong. 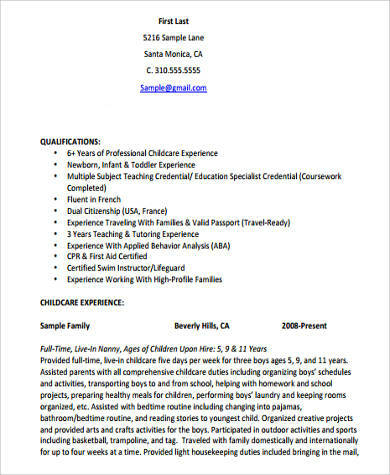 If you are in the process of putting together your requirements for a child caregiver job opening, here are Sample Resumes for your perusal. 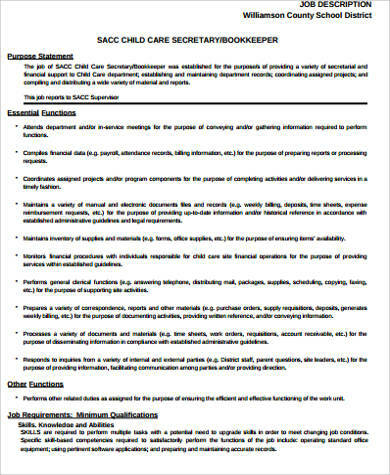 Going over these sample documents may be helpful to you as you go about strengthening your credentials. 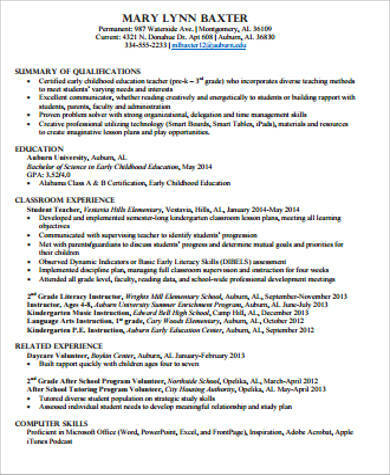 Writing a child caregiver resume is no different from putting together an Elementary Teacher Resume. All you will need to do is include only relevant information, and more importantly, present it in a manner that will strengthen your credibility. It is important that you are able to sound and appear trustworthy, as well as beyond capable of taking on the responsibilities involved in being a child caregiver. Experience. In this profession, your professional experience is what will significantly attest to your competence. 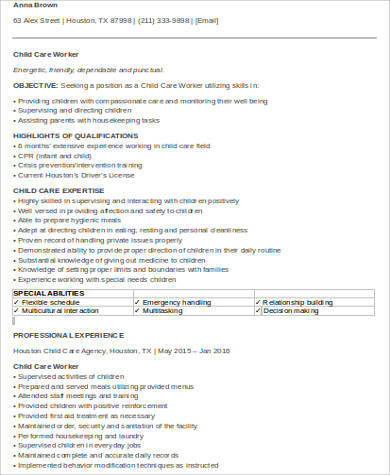 You must make it a point to highlight the work experience you have had that is related to childcare. Bear in mind that experience speaks for itself. 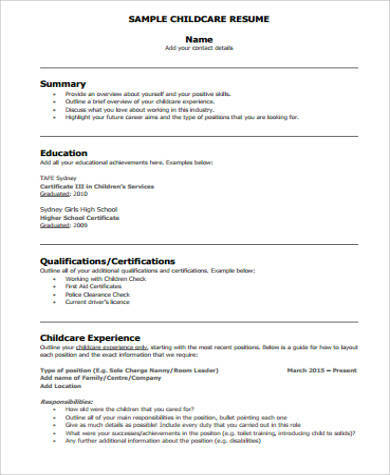 If you have been in the profession for a significant period of time, then it can be automatically concluded that you are well-versed in how to go about the responsibilities and tasks involved in childcare. Educational Background. 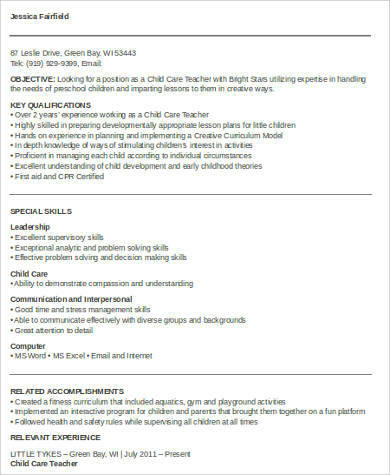 Just like experience, your educational background is also solid proof of your competence to become a childcare giver. 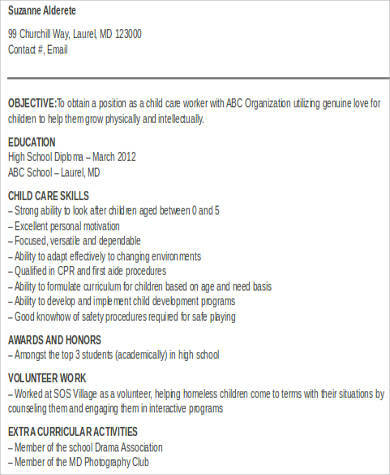 It is vital that the program or course you took is centered on childcare or is in a way related to it. Certification. A child caregiver is a profession that requires certification before one is able to officially practice. Hence, it is crucial that after you undergo the necessary training, you are certified by an authorized organization or figure. It can be sensibly concluded that certification is solid proof of your competence as it is on paper. Interests. Mentioning your interests, apart from your skills, also proves to be important. It will be a tremendous plus if the things that interest you involve working with children. 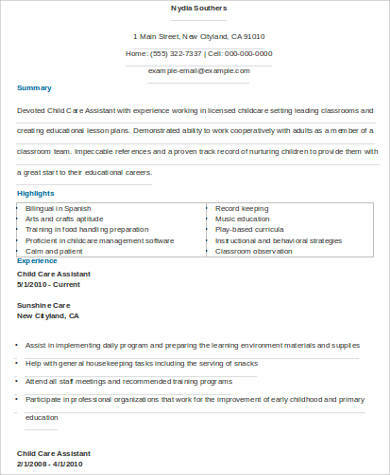 If you have hobbies that are related to childcare in one way or another, you must highlight these. It is important that you are able to convey to parents that working with children is among your greatest passions.